A season that appeared over has become a historic one for the Lady Cardinals. 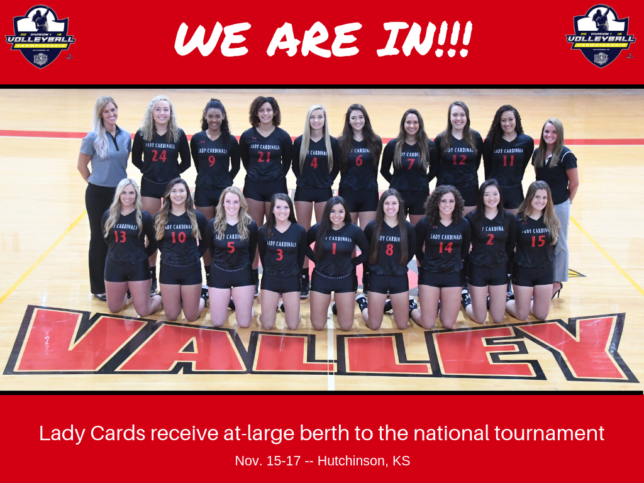 They are headed to the national tournament for the first time in school history. The tournament is scheduled Nov. 15-17 in Hutchinson, KS. Coach Tosha Spain’s squad, which is 25-6 on the year, drew a No. 9 seed and will play No. 8 Mineral Area (27-3) at 1 p.m. Thursday, Nov. 15. The winner advances to face the winner between No. 1 Miami Dade and No. 16 Monroe at 7:30 p.m. Thursday.